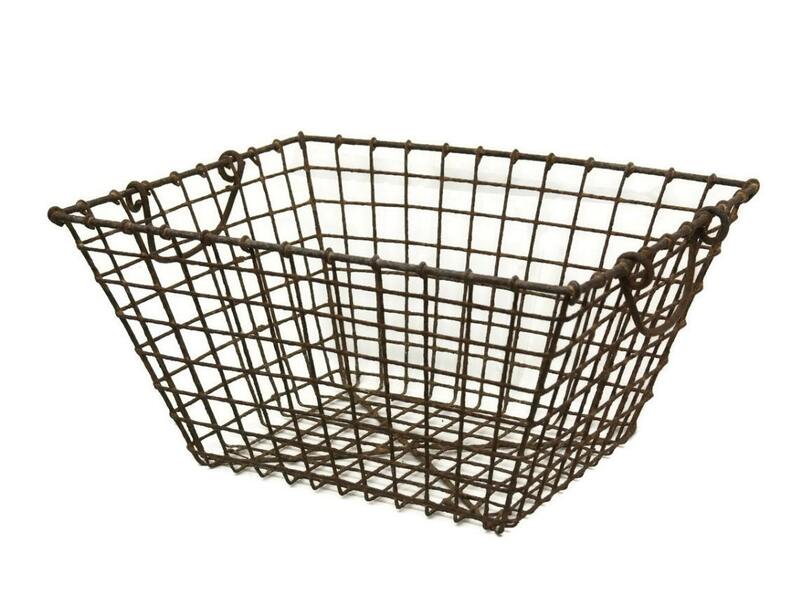 Industrial Antique Metal Locker Basket. 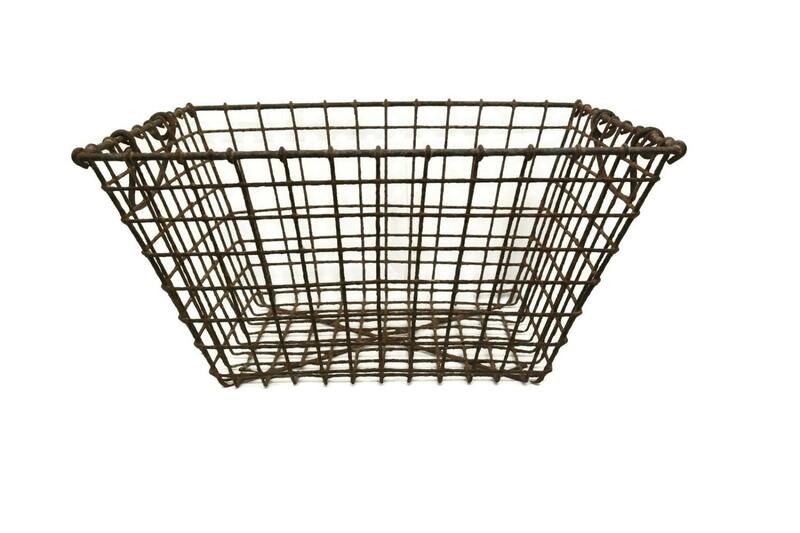 Rustic French Mussel Basket. 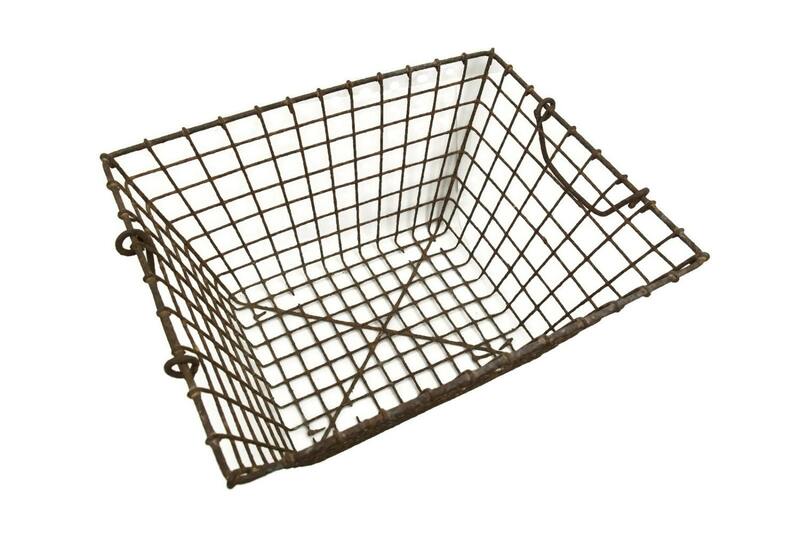 A French cage basket once used to collect mussels on the Atlantic coast. 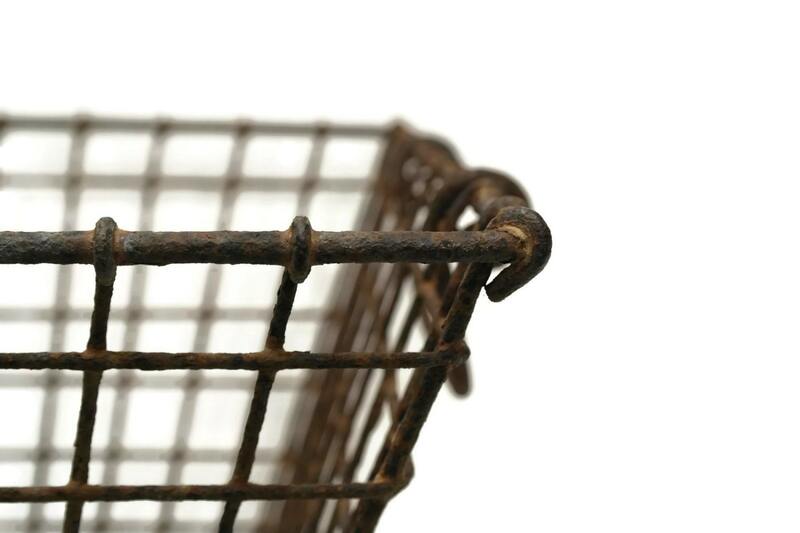 It has been manufactured from iron and features a traditional form with tapering sides and two carrying handles. 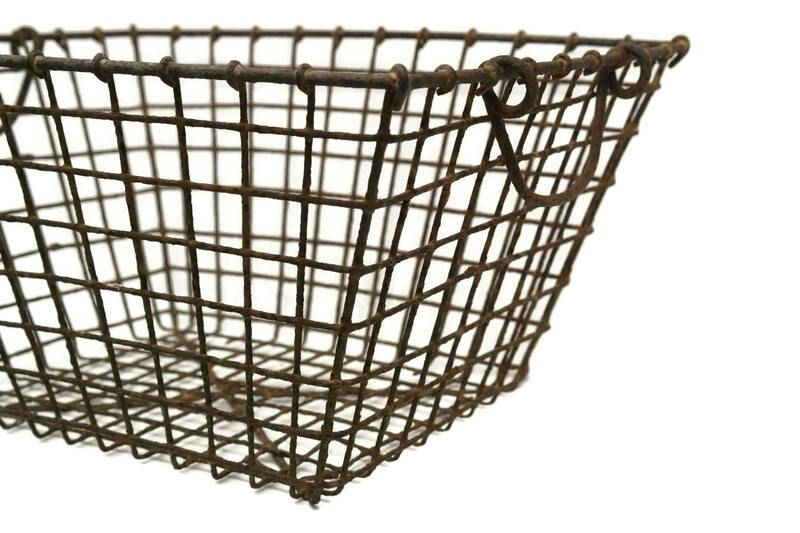 The French mussel basket is in good antique condition with signs of age and wear including rust and patina in places.